The creation of the universe and the nature of humanity as taught by the Ancient Wisdom. 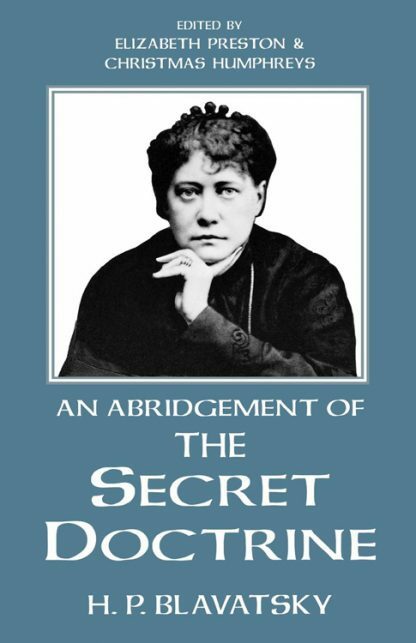 An abridgement of the original 1500 page work, The Secret Doctrine. Helena Petrovna Blavatsky (1831-1891) was born of a noble family in Russia. She became a student of metaphysical lore, and traveled to many lands, including Tibet, in search of hidden knowledge. In the 1870s she went to New York and, with Col. Henry S. Olcott and others, formed the Theosophical Society.